This morning will see a mixture of light and heavy rain, interspersed by some small periods of cloud and sunny spells. The temperature will reach 8C by 12pm. 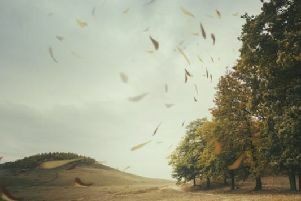 It will be very blustery, with winds of up to 48mph. This afternoon will be slightly brighter and drier, but it will remain windy throughout most of the afternoon. The temperature will reach its peak of 9C by 2pm. 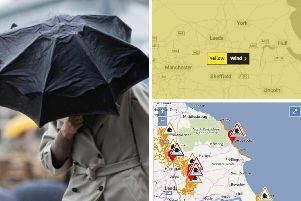 The Met Office has issued a yellow weather warning for wind to Sheffield, which is in place until 3pm today. This evening will be mostly dry until light rain hits at around 11pm. Winds will begin to ease, dipping to 27mph by 8pm. The temperature will be 7C throughout the evening. Overnight temperature of 6C. Tomorrow will see heavy rain during the morning, which will change to sunny intervals in the afternoon. Maximum temperature of 10C. The Met Office UK outlook for Sunday 17 March - Tuesday 26 March said: “Sunshine and showers are likely for many on Sunday, with the risk of hail and thunder. “Showers in the north may fall as sleet and snow occasionally, especially over higher ground, but it will become drier into Monday. Any strong winds will ease through the day too.